On this day 62 years ago two Yankee legends made their debuts, one in right field and one in the announcer’s booth. 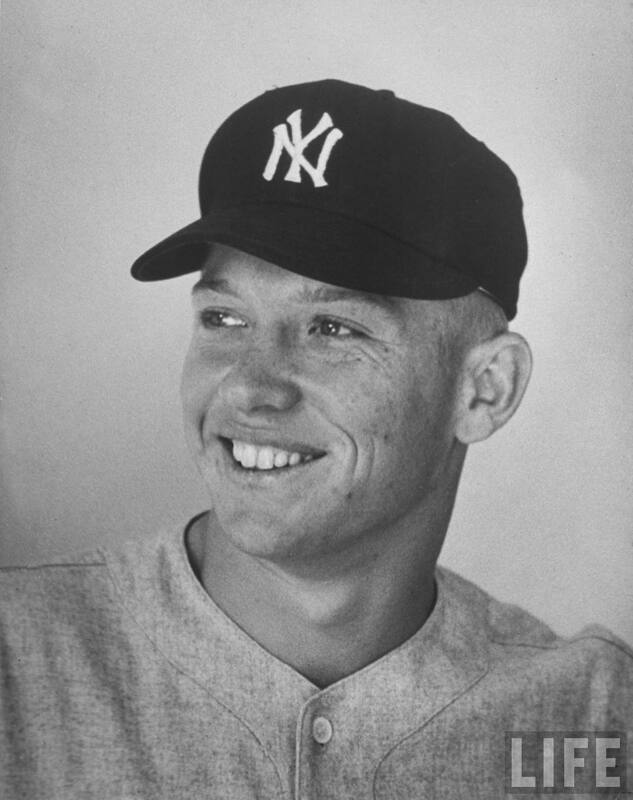 Against the Boston Red Sox a fresh-faced 19-year-old named Mickey Mantle, who was added to the Major League club late after a very productive spring training, started beside his predecessor in center field, Joe DiMaggio. That same afternoon Bob Sheppard debuted as the Yankees’ public address announcer, a post he would continuously occupy until 2007. Aside from being a fixture at Yankee games for 56 years, Sheppard would be the PA announcer for New York Giants football games from 1956-2006 and become one of only two people awarded both a World Series and a Super Bowl ring. Over his decades perched above home plate, he became as much a part of Yankee history as the countless men he called to the plate. Mantle and Sheppard were not just bound by their mirrored inauguration, but by mutual respect. Near the end of The Mick’s life Mantle told Sheppard, while they were being interview for a television program, that he got goosebumps every time he heard Sheppard announce his name. Sheppard told him he felt the same way every time he announced his name. On the opposing side, his velvet vocals called future Hall of Famers Ted Williams and Bobby Doerr, and 7-time All-Star Dom DiMaggio to the plate. Mantle recorded his first Major League hit and RBI in the same at bat when he drove in Jensen on a line drive to left field in the 6th inning, giving the Bombers a 3-0 edge. He finished the day 1-for-4 as the Yanks won the opener 5-0.